Since everybody already knows that phones with giant sized batteries are created in dark underground labs, by a bunch of mad scientists who constantly pray to the god of Milliamp Hours (mAh)… I thought it was about time that share this complete list of what smartphones are best for battery life. Related: Check out our Best Tough & Rugged Smartphone Article for some more Waterproof & Rugged Big Battery Smartphones. With smartphone battery life still being a real pain in the you-know-what. It really gets on your nerves when a phone constantly needs topping up throughout the day. So I vow that all phones henceforth (in this article at least) will have at least a 5000mAh battery. Don’t know your Milliamps from your Millipedes? Or wondering why your smartphone battery gets worse over time? Check out the Battery Life FAQ at the end. Put simply though, more than 5000mAh is enough to see you through a full days use and even safely into day 2, if not day 3, without ever having to connect yourself to a power supply. What Smartphones Have The Best Battery Life in 2019? Let’s find out! Good news for us though, as it’s packing the Helio P23 8-Core MediaTek CPU with plenty of RAM. The storage is a whopping 128GB, and the display is Full HD+. This is all before we even get to the fact that it’s got a 6000mAh fast charge Type-C powered battery. It’s one hell of a phone. We’re currently testing it in Review Hub Labs, so I’ll link to the full review very soon. All this power comes at a high price though, see below. The Xiaomi Mi Max 3 is finally here with a respectable 5500mAh battery and a 6.9″ display! 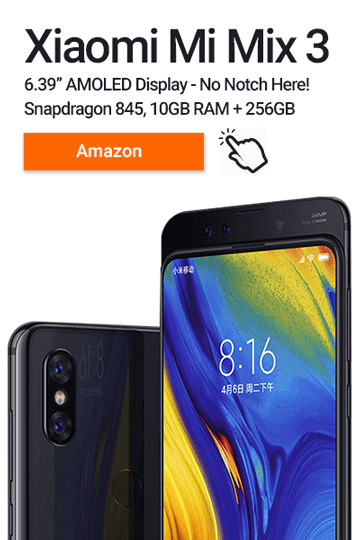 If you’ve been looking for a smartphone to binge-watch YouTube, Netflix and Play the occasional game without having to squint! The Mi Max 3 is for you! It comes with an impressively bright 6.9″ Full HD Display, is slim at 8mm and is featherweight at only 221 grams. I’ve reviewed 5.5″ smartphones that weigh more than this. It also features a healthy 4GB’s of RAM and 64GB’s storage with a Snapdragon powered chipset. The 8-core mobile processor is great for speed and productivity but not exactly a gaming powerhouse. I think that Xiaomi knows this, so if you’re looking for a big battery gaming smartphone then hold off for now. Why? because the Xiaomi Mi Max 3 Pro is on the horizon with the more capable Snapdragon 710 + Adreno 616 graphics chip. For more details, check out our full Xiaomi Mi Max 3 Review. 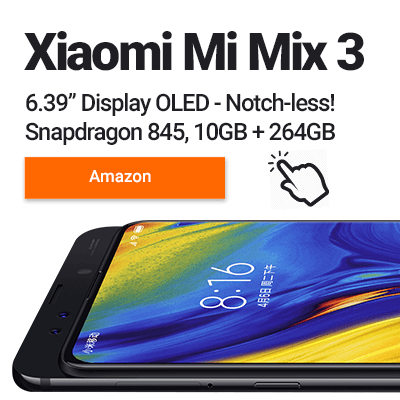 The Xiaomi Mi Max 3 Phablet is every binge-watchers best friend! The Vernee X1 doesn’t compromise. 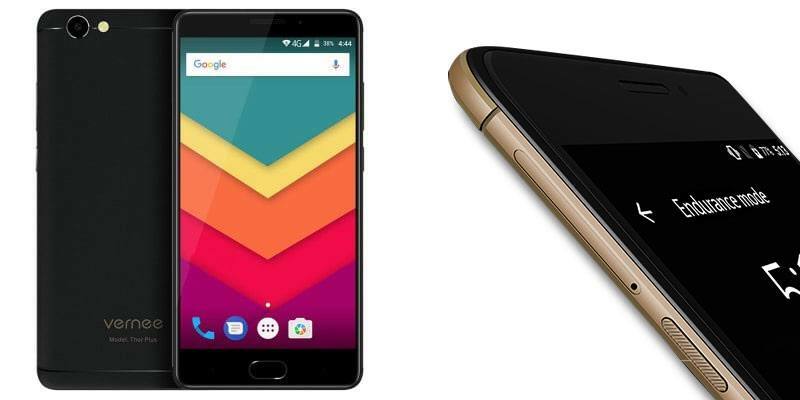 It’s available in two variants offering up to 6GB of RAM’s and 128GB’s of storage coupled with MediaTek’s next generation Helio P23 CPU. While not a powerhouse, it offers extreme mid-range efficiency. This is then combined with a massive 6200mAh battery making it one of the best long lasting smartphones available. 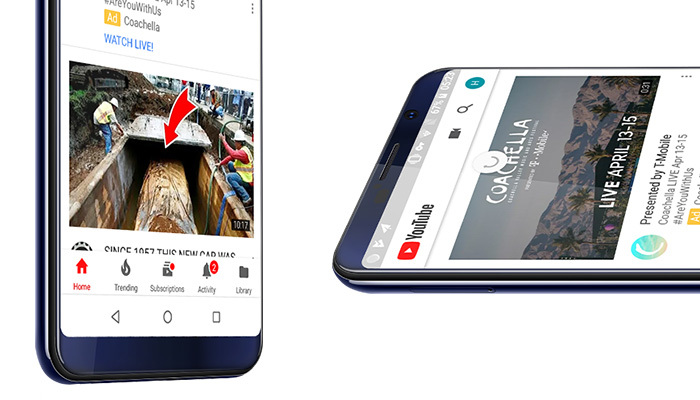 You’re also getting a full HD+ 18:9 display that comes with curved corners, a metal unibody design and a quad camera setup. Thanks to high-resolution 13MP selfie camera, we’re also treated to Vernee’s face unlock feature. Overall, the Vernee X1 is a great all rounder that’s packing some serious battery without weighing you down. The HomTom S99 is a big battery bargain! Featuring a Full HD+ Display, Octa-Core CPU, 4GB of RAM and 64GB storage as standard, all for a little over the £100 mark. These smartphone specs sound more like they belong to a £200 smartphone! The honeycomb rear design helps it to stand out from the competition, and it’s one of the lightest big battery smartphones currently available, weighing in at only 200 grams. We’re yet to see a truly bezel-less big battery smartphone, but the S99 comes close with minimal side bezels attached to that 18:9 slimline display. 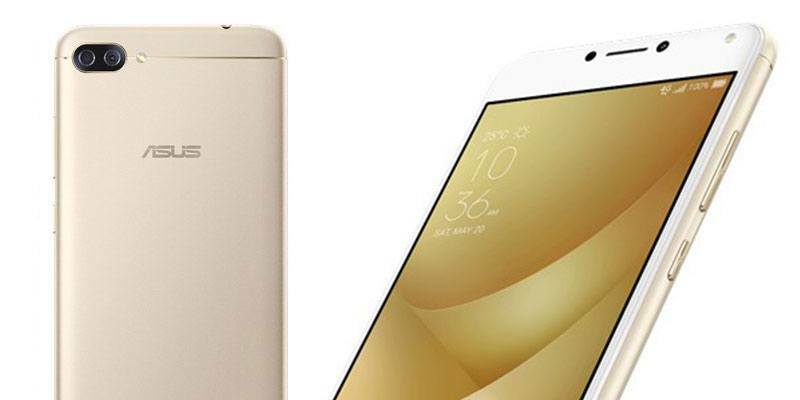 As well as that big battery, you’re also getting a 21MP + 2MP dual rear camera setup. The dual aspect it a bit of a gimmick, but the 21MP lens will do all the hard-work. 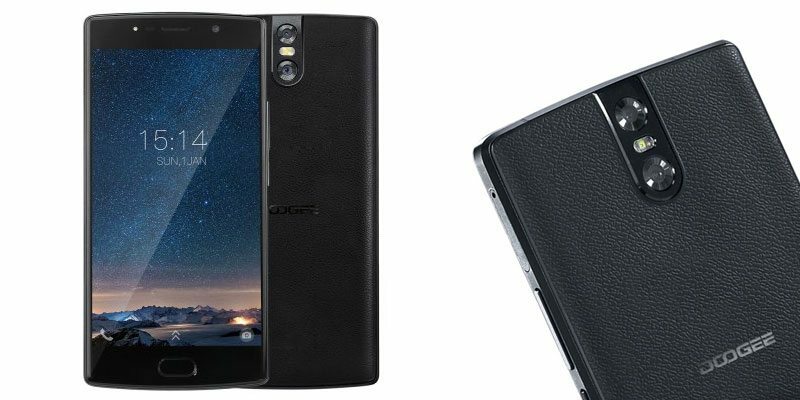 While the Doogee BL9000 isn’t to everyone’s taste, with those angular corners and that faux leather texture, we can’t deny that it’s packing some serious tech credentials! It uses a 5.99″ Full HD+ display made by LG for excellent viewing angles and rich vibrant colours. The dual rear camera setup uses the new 12MP Sony IMX486 for the main lens with a respectable 5MP backup which will add depth of field (bokeh). 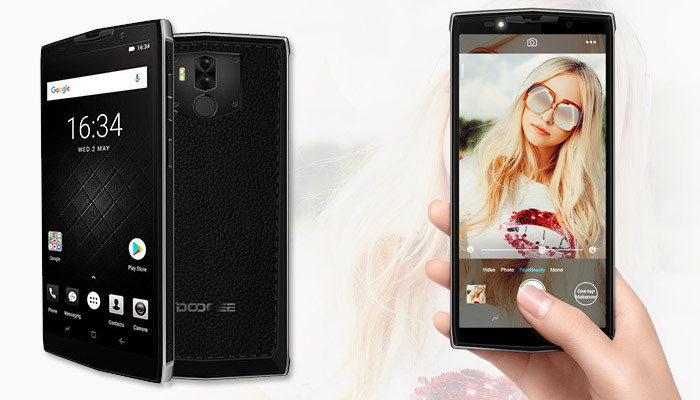 Related: What’s the best Doogee Smartphone? Other premium features we see on the BL9000 are Wireless Charging and NFC which are traditionally reserved for flagship devices. Now onto the battery. Yes that’s right, under the hood is a 9000mAh battery that will easily last 2 days of power usage and 3-4 of light usage. For a massive battery like this, you need some serious charging power and it comes in the form of PumpExpress 4.0 (5V/5amps). 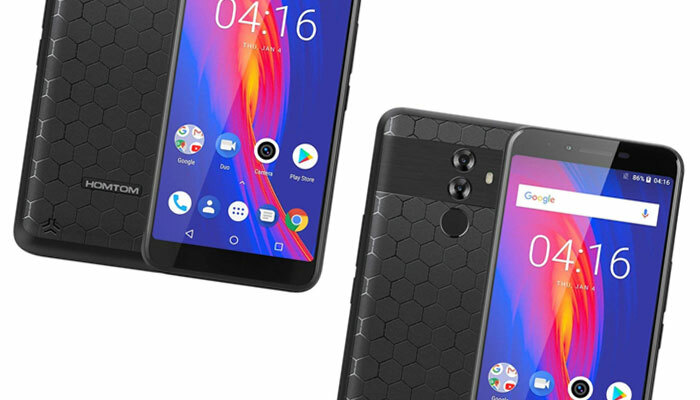 The downside to such an outrageous smartphone is that it’s a beast, at 13.8mm thick and weighing in at a hefty 275 grams. If you don’t mind large smartphones, then the BL9000 is a worthy upgrade! Quick Specs: Android 8.1 Oreo, MediaTek Helio P23 CPU, 6GB RAM, 64GB Storage, 5.99″ LG Display, 1080×2160 resolution. Ulefone have won back their biggest smartphone battery-ever award from the Doogee BL12000, with the incredible & ludicrous Ulefone Power 5. 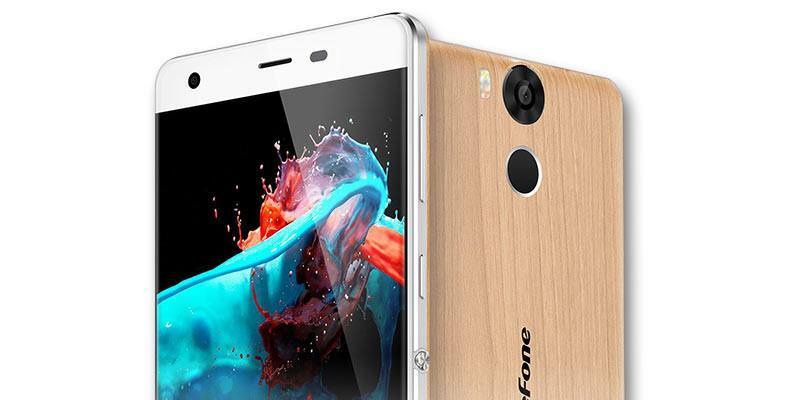 The thorough-bred Ulefone Power 5 comes from a long line of epic battery life smartphones. The Power 5 ups the game though by adding Qi Wireless charging coupled with 5V/5Amps fast charging. It’s doesn’t let anything slip in the camera department either coming with the impressive Sony IMX230 21MP snapper. All this power does come with some drawbacks though, the main one being the hefty 330 grams that the Ulefone Power 5 weights. Is it worth reinforcing your jeans pocket with kevlar to behold such a powerful beast? Let me know in the comments. 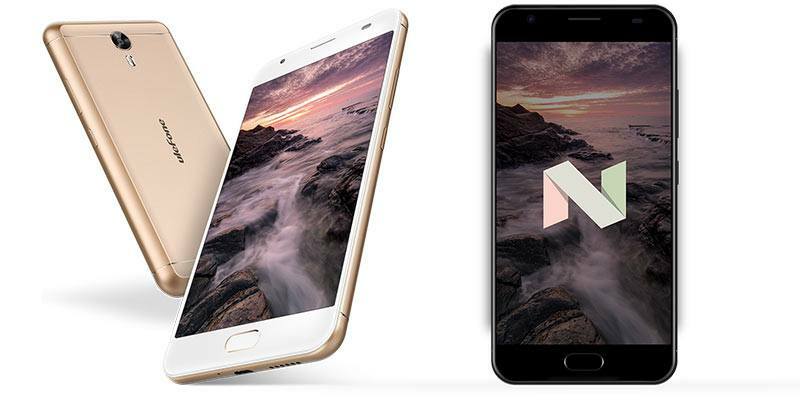 The Bluboo S3 offers it all in a very attractively priced package! Out of the box, the S3 comes installed with Android 8.1, has a 6″ SHARP manufactured 18:9 full HD+ display, dual Samsung rear cameras and let’s not forget a whopping 8500mAh battery. This is enough battery to easily see you into your third day off-grid! All this power comes with great responsibility… if you count responsibility as a beast of a smartphone weighing down you pocket. At 280 grams, the Bluboo S3 isn’t for the faint of heart, but if your grip is solid then the S3’s price-tag is extremely tempting! Compared to some of the big-battery competition, you might feel a little short-changed with the Moto E5 Plus. That’s not to say it doesn’t have it’s pros, it just has adopted the latest mobile trends. Since its missing NFC, still using the old Micro-USB port and features at rather underwhelming resolution for the large 6″ display… it’s all going to come down to the price. Onto the Pros and we’re getting a 5000mAh battery with Motorola’s TurboPower 15w charging which promises 6 hours of battery life with only a 15 minute charge. Motorola have also used a water repellent coating to help protect the Moto E5 Plus from spills and rain. Be aware though, it’s not an official waterproof rating but will probably protect itself from your coffee spills. Taking a look at performance and it’s again on the low-end with Qualcomm’s most basic chip the, Snapdragon 425. It’s backed up by a healthy 3GB of RAM and the 32GB of storage is expandable up to 128GB’s. 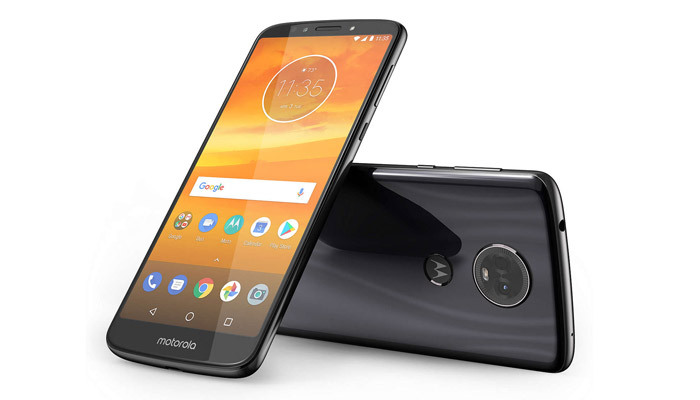 One area the Moto E5 Plus does have going for it, is in the design department. The curved edge of the back and lack of any antenna wires makes it one good looking phone. 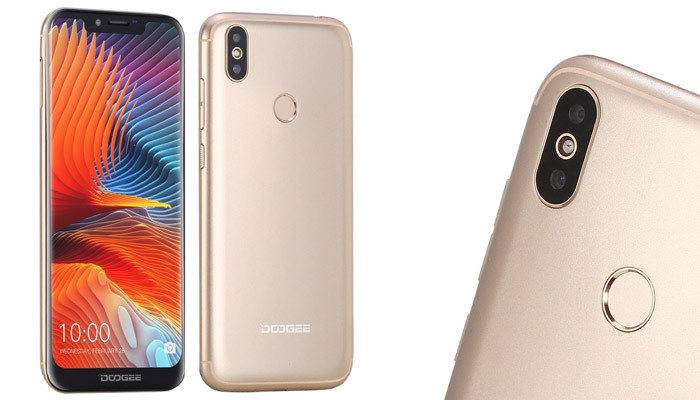 The super-budget Doogee BL5500 still offers a 6.19″ HD notch-wielding display combined with a 5500mAh battery. While the performance of the BL5500 is aimed at entry-level buyers thanks to a budget quad-core CPU and only 2GB of RAM. The good news is that the 16GB of storage can be expanded using the Micro-SD card slot. It comes with Android 8 out of the box and full UK 4G support. It’s currently a pre-order smartphone, but we’ll update with more details soon. Grab yourself a battery-life bargain with the ‘old’ best battery life list. These big battery smartphones have been available for a while now. Grab yourself an eBay bargain by saving big on slightly older phones. 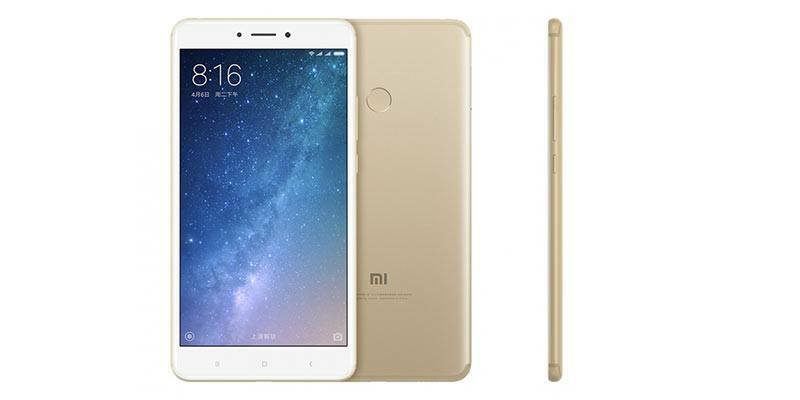 The Xiaomi Mi Max is just that with a whopping 6.44″ Full-HD screen and a hefty 5300mAh battery to power the smartphone beast to the… drum roll… Max! Whilst you won’t be getting the same amount of battery life you would from a 5″ phone with 5000mAh it’ll still be enough to last you well into the 2nd day. What’s so impressive about the Xiaomi Mi Max 2 is that it comes with a set of mid-high range hardware but is priced well below the current flagships! This combo of decent specs, enormous screen real-estate and big battery is definitely going to put the Mi Max 2 high up on people’s wishlist. Whilst it might not have cutting edge bezels, it’s stylish yet minimal all metal design is going to be a big hit with anyone who’s wanted the Galaxy Note to look more like an iPhone! Note: Missing 4G Band 20 (800MHz) – Will my phone work in the UK? 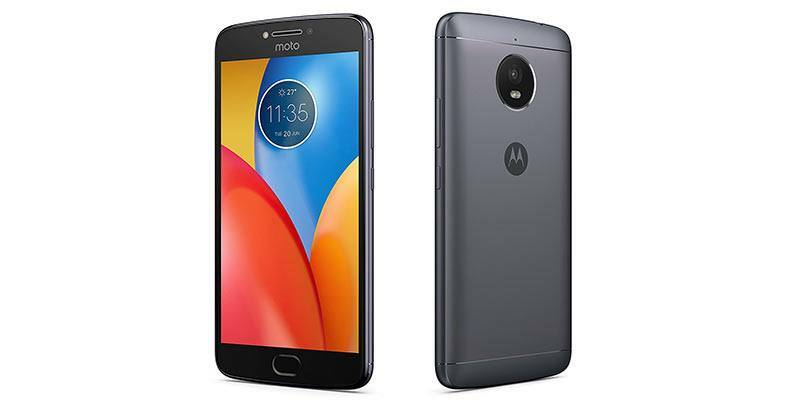 Even Lenovo has jumped on the big battery bandwagon and released a Plus version of their Moto E4. The Moto E4 plus comes with a bigger screen and reaches the 5000 mAh threshold to make it into this article. Buying a bigger brand like the Moto comes with its Pros & Cons. The upside is that you get regular OS updates, more accessories and better support. The flip-side is that this comes at the expense of raw tech hardware and performance. The Moto E4 Plus comes with a power efficient low-end Snapdragon processor and about the half the RAM we’re seeing on similarly priced smaller brands. The latest smartphone from UMiDigi is the S2 Pro which features an 18:9 Full HD+ Sharp Display, 128GB of storage and an amazing 6GB of RAM. The S2 Pro offers an excellent screen-to-body-ratio but what’s more impressive is that they’ve stuffed a 5100mAh battery inside while keeping the weight of this 6 inch giant well under 200 grams. While it may be hiding a mid-range MediaTek CPU, I’ll let the S2 Pro off the hook… Why? because you can get your hands on this smartphone for half that of the cheapest retail flagships. The S2 is definitely a smartphone that should be on your shortlist if battery life is a concern! 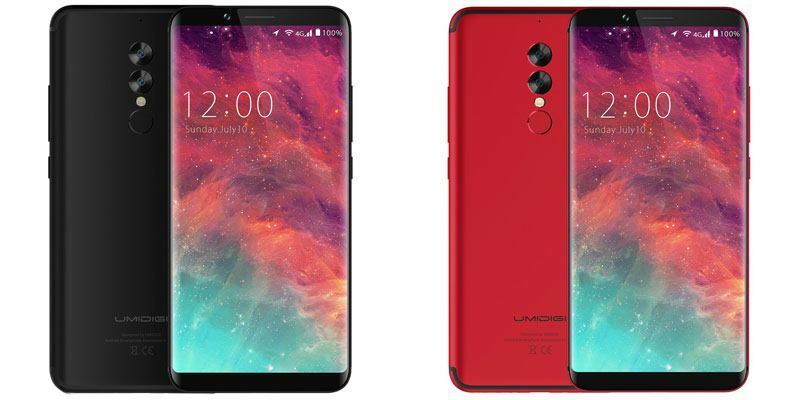 If you don’t mind missing out on a full HD display, you can always opt for the UMiDigi S2 (non-pro) version or even the UMiDigi S2 Lite and save yourself some pennies! Quick Specs: Android 7 Nougat, MediaTek Helio P25 (8-Core) CPU, ARM Mali-T880 GPU, 6GB RAM, 128GB Storage, 6 inch 18:9 Sharp Display, 2160×1080 resolution. If your budget won’t stretch to the 3, then the Ulefone Power 3S is a little more affordable. It still comes with the same full HD+ display, Android Oreo future update promise but drops down to 4GB of RAM and lowers its main camera to 16MP. Surprisingly the 3S is packing a slightly bigger battery at 6350mAh and also includes the faster AC WiFi standard. Apart from this though, you’re getting pretty much the same smartphone but you’ll pay around 20% less. Sounds like a deal to me. 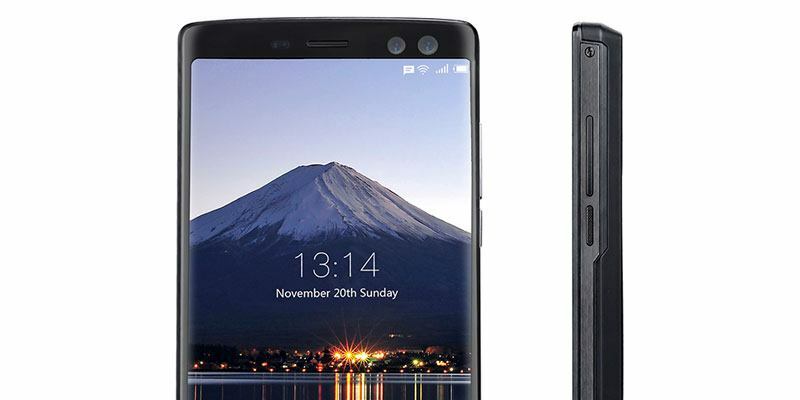 Oukitel, the longtime kings of battery life, recently released their late 2018 mid-range offering, the Oukitel K6. Featuring a 6300mAh battery, NFC and quad cameras it’s another great all rounder but sits on the hefty side at 215 grams and 10.4mm thick. 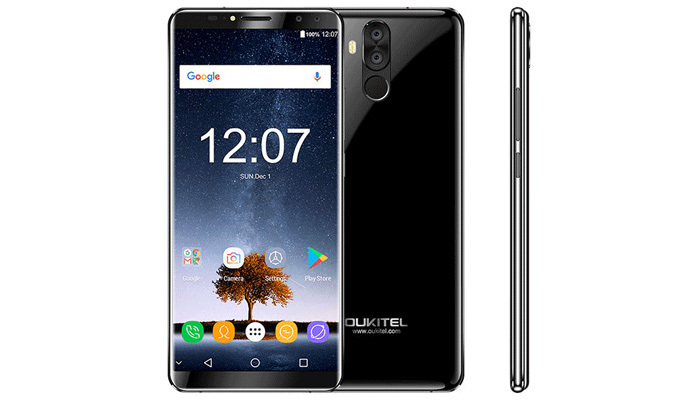 On paper, the Oukitel K6 sounds very familiar but what makes it stand out is the quad camera setup. Featuring a 21MP + 8MP rear camera and a 13MP + 8MP selfie camera the K6 is well equipped to take some great photography. I’m currently testing the K6’s camera performance out as we speak, so I’ll add a link here to the full K6 Camera review soon. Finally, you won’t find a headphone jack but Oukitel have included a USB Type-C to AUX in the box. At only 7.95mm thick with a battery size of 6200mAh, the Vernee Thor Plus is bucking the trend and showing that you can have it all. It features an AMOLED 1280×720 display and front-facing fingerprint reader. 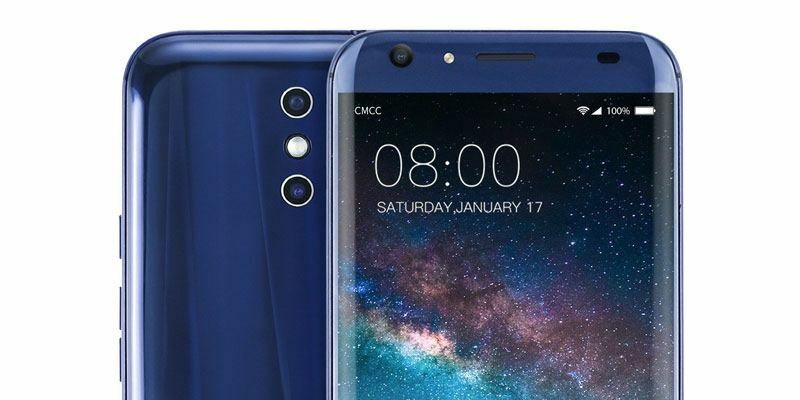 While it’s not full-HD, it does come with a very affordable budget price-tag, even more so, when considering it has an aluminium alloy unibody design. The Vernee Thor Plus looks very similar to a lot of other smartphones on the market… but… with a few worthwhile extras. The first being an AMOLED display which will improve contrast and extend battery life. The second is that it’s hiding a 6200mAh battery inside! Quick Specs: Android 7 , MTK6753 1.3GHz 8-cores, Mali-720 MP3 GPU, 3GB RAM, 32GB Storage (expandable 256GB), 5.5 inch AMOLED 1280×720, 13MP Rear Camera, Dual-band WiFi. We recently did a full review of the Doogee BL5000 and found it to be a capable device. It’s a good budget all-rounder that takes its design inspiration from HTC. It comes well equipped with a bright full-HD screen, front facing fingerprint reader and plenty of storage. The device is on the heavy side at 210 grams but it fits the hand well and feels solid. Don’t forget to check out our full in-depth Doogee BL5000 hands-on review. 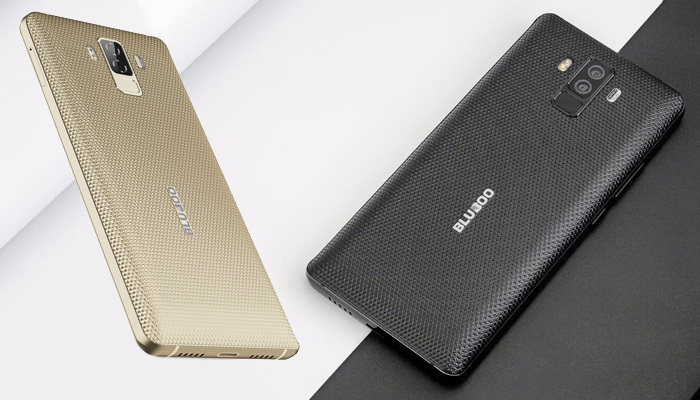 Big brother to the BL5000, the Doogee BL7000 offers us a whopping 7060mAh of power that will easily see you into day three without charging. What’s more impressive is that it only weighs 10 more grams than its little brother at 220 grams, but has 29% more battery capacity. Performance-wise it’s very similar to the BL5000, but it does have an improved dual camera setup using Sony made camera lens and has opted for a Sharp branded Full-HD display. It’s worth noting that it drops the Gorilla Glass 5 protection. It’s a much more discrete design with the faux leather textured battery cover adding plenty of grip. It’s not a design for everyone, but, to certain audiences, the traditional look does appeal. The Doogee BL12000’s reign as ‘King of the Battery-life Hill’ was short lived to the Ulefone Power 5 above. It’s included here more for fun than as an actual recommendation, as, it’s, erm well… just plain ridiculous. 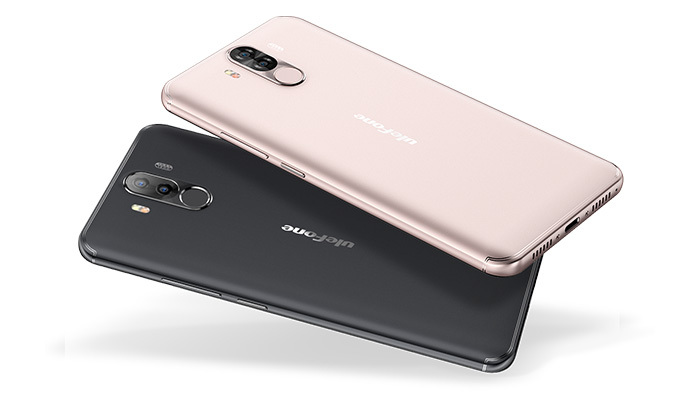 Still, it’s great that Doogee is pushing boundaries… maybe with battery density improvements, we’ll start seeing similar phones with a slimmer form factor soon. Although, my bets are on the super-fast charging route, eventually getting rid of the need for big batteries altogether. The Zenfone 4 Max is also quick charge enabled with 2amp charging capacity which will charge 0-100% in 4 hours or give you three hours of battery life from a 15-minute quick charge. The dual camera rear setup works the same way as the LG G5 in that one is a 120 degree wide angle lens and the other a higher resolution main camera for more detail. For any selfie lovers, you’ll be happy to know that the 8MP front facing camera comes with its own LED soft flash as well as beauty mode. Quick Specs: Android 7 , Snapdragon 430 CPU, 3GB RAM, 32GB Storage, 5.5″ 1920×1080 Gorilla Glass, 13MP + 8MP Dual Cameras. Named after the God Thor himself, the Vernee Thor E packs an all mighty 5020mAh battery into an 8.2mm phone that weighs only 149grams. Now that’s impressive! No longer does more battery life mean more smartphone weight. The Vernee Thor E also comes with a trick up its sleeve in the form of dedicated that puts the phone into E-Ink mode. 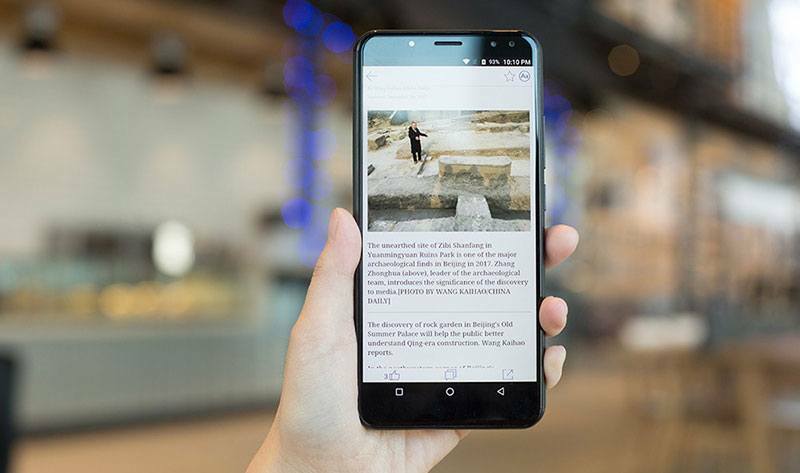 There’s isn’t actually any e-ink involved, like the Yotaphone 2‘s second screen, but it puts the phone into super power save mode. Once you press the e-ink button; it lowers the brightness, underclocks the CPU & GPU, Optimises Apps & Notifications and finally turns the screen black and white. In terms of raw performance, the Vernee Thor E planted firmly in the budget specs arena with low-end MediaTek CPU and 16GBs of storage. Don’t let this put you off though as it has a budget price-tag to match and comes with the latest Android OS 7 Nougat. While VKWorld might not be as well-known as some of the other mobile brands on this list, it’s still a good big battery-life option. Featuring 4GB’s of RAM & 64GB of storage both made by Samsung and an LG IPS Display that’s protected by Gorilla Glass 4, it’s got some big names behind it. In terms of battery life, the Samsung 5500mAh non-removable battery will be enough to last you into your second days usage without charging. The VKWorld stands out from the pack as it’s one of the best looking smartphones on our list including both thin bezels and an excellent screen-to-body-ratio. While it’s not backed up by a MediaTek Helio CPU, the MT6750 Octa-core processor is enough to keep things running smoothly, just not at rocket speeds. The drawback has to be the weight, as the VKWorld S8 weighs in at a whopping 248 grams. With a name like the Ulefone Power 3, you know what you’re getting… serious battery-life! The Power 3 doesn’t disappoint with a 6080mAh battery that’s backed up by 3amp quick charge. It pulls in some big names for its component list, with Gorilla Glass 4 protection for the full HD+ display and a Samsung dual lens camera setup. Ulefone have promised a definite upgrade to Android Oreo 8.1, but a date for this has yet to be set. Since it uses the the current generation Helio P23 chip, it’s an OS upgrade you’re very likely to see. The successor to the all-mighty Power 1, Ulefone have overhauled their design and components in the Power 2. We still see the same impressive 6050mAh battery but we treated to the latest Android OS 7 Nougat and a full metal body as well as an array of component upgrades. There’s been quite a jump in performance when compared to the Power 1 with an upgrade to the Mali-860, storage has quadrupled to 64GB and I’m happy to see a front-facing fingerprint reader. Overall, the Ulefone Power 2 is a well-rounded smartphone with impressive specs and even more impressive battery life. It does come in a little heavy at 210 grams, but it’s a pay-off for the enormous battery. Oukitel K10000 Pro – Battery Life Beast! Hailing twenty-seventeen all the way from some future realm is the Oukitel K10000 Pro which, the clues in the name, is backed up by a whopping 10,000mAh battery. Oukitel claims you should be able to see between 10-15 days usage without having to recharge but even half of this would be impressive. The original K10000 was released a few years ago but has had a complete overhaul with the new Pro version. It now comes with the latest Android 7, a Full-HD screen, fast charging and a fingerprint reader on the back. 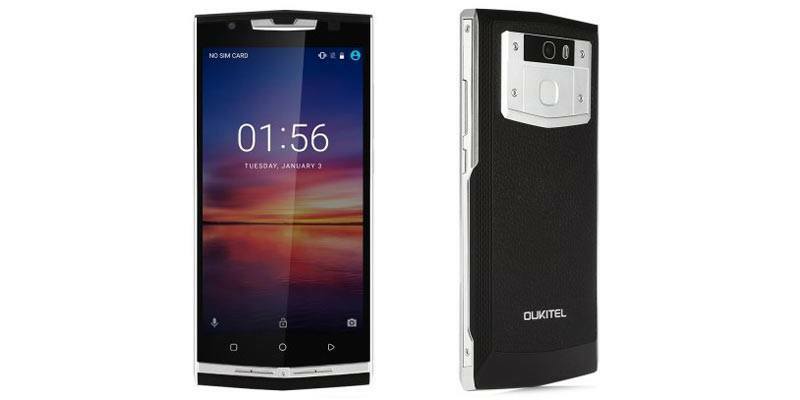 What hasn’t changed is the bizarre mix of leather and angular metal Oukitel has used in the design of the K10000 Pro. I guess it must be popular somewhere, right? Quick Specs: Android 7, MediaTek MT6750 Octa-core 1.5GHz CPU, 3GB RAM, 32GB Storage, 5.5″ 1920×1080 Gorilla Glass, 13MP + 5MP Cameras. 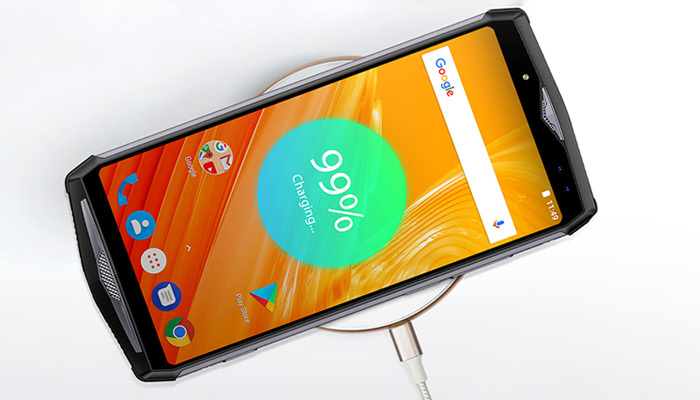 The Power is Ulefone’s first attempt at creating a mobile powerhouse and features a whopping 6050mAh battery that will keep you connected for around 3-4 days with medium usage. Pretty impressive! 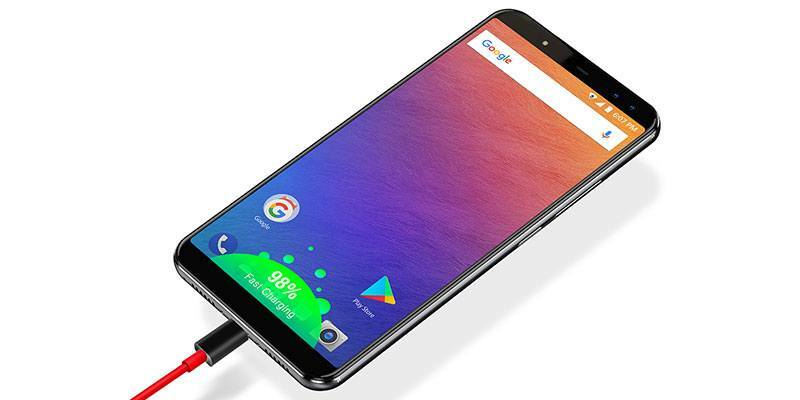 Add to this 3GB of RAM plus an 8-Core MediaTek CPU and the Ulefone Power has some decent hardware for you to play around with. Alongside days of usage and jealous stares from friends at your stylish wooden smartphone, the Power also packs in a fingerprint sensor, Gorilla Glass 3 screen, IR Blaster and dedicated camera shutter button to make those selfies even easier. Which Smartphone has the best battery life? The smartphones with the longest battery life is the Doogee BL12000, which features the Guiness World Record breaking 12000mAh battery. 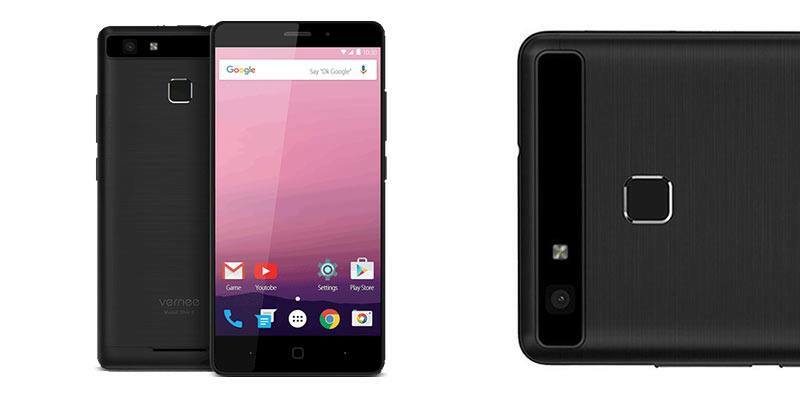 A close second is Oukitel’s K10, which also have a ridiculous 11000mAh battery inside. Oukitel long reigned supreme as the King’s of Smartphone Battery Life, until early 2018 when the Doogee BL12000 was released. What is ‘Fast Charge’, ‘Fast Charging’ & ‘Quick Charge’ on Smartphones? One of the biggest problems with smartphones has been their slow charging times. Some clever folks, in their dark underground labs, came up with the idea of pumping more energy into smartphones batteries to make them charge faster. There’s a problem with this though as charging also causes waste energy in the form of heat and the faster you try to charge a battery the hotter it gets. So the clever boffins needed to think of a way to charge smartphones faster but without them overheating. To do this, they needed to come up with new charging standards and then apply these to the voltage regulators inside the smartphones. So sorry folks, if your phone wasn’t labelled fast charge when you bought it, plugging it into a fast charger won’t make any difference. The charging regulator will just limit the amount of Amps it lets through. So in essence, the first part of fast charging on a smartphone or tablet is when you have a USB charger that can push out more Amps. It’s usually 2-3 Amps compared to the standard 1 Amp you’ll find in a non-fast charge charger. The second part of fast charging is having a device that has specific fast charge regulators inside it which will let it take in more than the standard 1 amp. What are the different types of mobile phone Fast Charge & Quick Charge? The leading fast charge standard is made by Qualcomm and the latest version is called Quick Charge 4+ although most production phones are still using the Quick Charge 3 standard. Quick Charge works by being more power efficient with the current from the plug socket allowing it to pushing more amps into the phone. Quick Charge ready devices have special power regulators that allow them to receive the higher Amps charge without overheating. We also see Dash Charging from the team at OnePlus and a few other standards from other device manufacturers as well. Another method of fast charging is to alternate between low and high amps. This method is slower than Quick Charge but helps to lower the heat produced whilst still speeding up charging times overall. What does my smartphone battery life get worse over time? There used to be a time when all smartphone batteries were removable. The shops were stacked with replacement batteries and it wasn’t uncommon to carry a spare swapping out the dead battery when needed. If you understand how batteries work, then you’ll know that they come with a limited lifetime, also called cycle count, before they start deteriorating. After around 100-200 cycles you’ll be losing anywhere between 10 & 25% of your battery life depending on the quality of the battery. This didn’t used to be a problem when you could just buy a new battery and replace your old one. The reason for this battery life decline is down to chemistry. Lithium-ion batteries use a cathode and anode to move the charged ions. Eventually, charging begins to wear out the cathode giving you less overall charge. Now that a lot of batteries are sealed inside phones, you’ll want to do everything you can prolong the life of your battery. There’s actually an easy way to do this on any phone using an app called AccuBattery. The most damaging part of any charge cycle is when the battery drops below 20% and above 80%. These two extremes are where most of the battery-life wear is caused. The app helps by automatically setting up alerts to remind you to unplug you phone when it hits 80% and not letting the charge drop below 20%. By doing this you can effectively double the usable lifespan of your device. I hope you've enjoyed this round of smartphones with spectacular battery life! Have I missed off your favourite smartphone with more than 5000mAh of power? Comment below. Previous articleTop 5 Cubot Phone Comparison – Whats the best Cubot Phone?